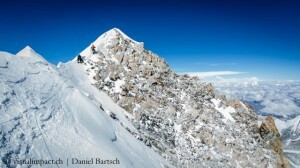 Many are familiar with the view of Makalu, without being aware of it. On pictures taken from the summit of Mount Everest in direction of the Southeast Ridge you see in the background the shapely fifth highest mountain on earth. Just a few kilometres linear distance are lying between the two 8000ers, but actually they are worlds apart. This spring the headlines concerning Everest were overturning: first the brawl in Camp 2, then the 60-year-anniversary of the first ascent. Because of this I lost sight of an expedition of four German and a Swiss climber to Makalu. David Göttler, Michael Waerthl, Hans Mitterer, Daniel Bartsch and Stephan Siegrist wanted to climb the mountain in Alpine style via the challenging west pillar. Siegrist had to cancel the expedition because he got severe headaches and vision disorders, possibly due to a skull fracture that he had a few years earlier. The other four abandoned their original plan and ascended via the normal route. Waerthl returned because of icy fingers about 200 metres below the summit. 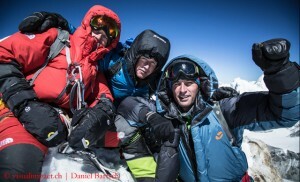 The other three climbers reached the highest point at 8485 metres. I reach David Göttler on the phone while he is on the way home from the Bregaglia Valley where the mountain guide from Munich has led two clients. In recent years the 34-year-old mountaineer was repeatedly on expedition with Gerlinde Kaltenbrunner and Ralf Dujmovits. With Gerlinde he i.a. ascended Dhaulagiri in the 2008 and Nuptse in 2012. David, on 21 May you, Hans Mitterer and Daniel Bartsch stood on the summit of Makalu. Was it a perfect summit day? We had been climbing fast. We were extremely fortunate because only we and a Finnish climber (Samuli Mansikka) were up there. The weather and snow conditions were perfect: almost no wind, normally warm for such a high 8000er, which means not too cold. It was incredible. It would be nice if every summit day was like this. Makalu was your fifth 8000er. How do you classify this ascent in your personal ranking? Especially the last stage up to the summit is challenging. There were only old fixed ropes, which you really don’t want to use. It was certainly one of the more demanding climbs. On your summit day a large group of climbers of commercial expeditions turned back about 200 metres below the highest point. Afterwards some of them complained that contrary to the agreement the Sherpas had not secured the final passage to the summit with fixed ropes? What was the problem? We caught up with the group that had started much earlier at 3 a.m., about 8200 metres high. When it got light the Sherpas said that they had not enough ropes to fix the route and that all should turn back. They had already been climbing for a long time. Maybe it was a wise decision of the Sherpas, at least for a majority of their clients. Perhaps they used the lack of ropes only as an excuse. I proposed to fetch up ropes from below to fix the last 200 metres. I had about 40 more metres of rope in my backpack. The Sherpas totally blocked my proposal and meant that it would take too long. But I can only speculate what was really going on there, and therefore I have reservations about commenting it. Originally, you wanted to climb Makalu in Alpine style via the west pillar. 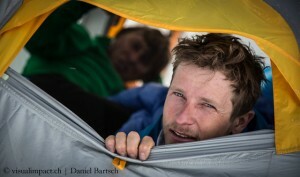 Then Stephan Siegrist, one of your team members, had to cancel the expedition because of health problems. Why have you abandoned your plan then – four climbers remained and you were a powerful team? There were several reasons. Without Stephan we were a strong man down. In addition the conditions were brutal: glare ice. You don’t get ahead. During the exploration of the west pillar we had to secure some lower passages which were really flat, due to glare ice. Above the rock was fragile. We weighed our options. The chance to reach the summit via the west pillar was minimal, the chance via the normal route relatively well. You were three of only seven climbers who reached the summit this spring. 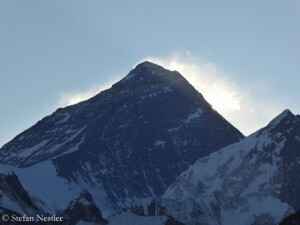 Have you experienced Makalu as a lonely mountain? Yes, compared to my last expeditions to Lhotse and Nuptse where I pitched up my tent in Everest Base Camp. I have never had such a beautiful basecamp like ours below the West Pillar of Makalu. It was below the basecamp of the normal route, green, with views of Lhotse, Everest, Makalu and Baruntse. We were alone in our camp, on an 8000er! Also on the mountain, I did not feel that many climbers were on the route. We enjoyed meeting these people and chatting with them. We had much fun with the Sherpas on the normal route. It was always a friendly and nice atmosphere. On Everest, about 10 km linear distance away, at the end of April Sherpas attacked European top climbers Ueli Steck, Simone Moro and Jonathan Griffith. Has that news gotten around to you? We were doing some climbing to acclimatize. We had just pulled a Sherpa out of a crevasse into which he had fallen. He thanked a hundred times and said we had saved this life. We didn’t feel that way, for us it’s quite normal to help each other. Then we came down to the basecamp, and our kitchen team heard in a small radio the message that was broadcasted by the local ‘Khumbu Radio’. Incredible, we asked ourselves: What must have happened that the situation could escalate like it did? 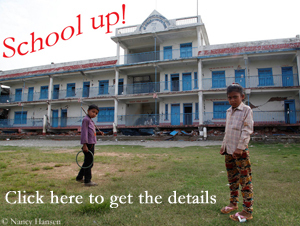 Like the three climbers on Everest you were climbing on Makalu without Sherpa support. How did the Sherpas behave towards you? They have always been nice. When we turned to the normal route, they asked: ‘What are you doing here now?’ We told them that we had decided to climb up via the normal route. For their work in the lower parts of the mountain we paid them with some ice screws and ropes. That brought this matter to a close. We have always helped each other. For example, we passed on the weather forecast. The Sherpas provided us with other informations. It was a pleasant, friendly cooperation. 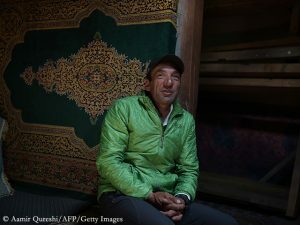 Do you think that the relations between Sherpas and professional climbers are sustainably clouded by the Everest incident? I don’t hope so. I’m not afraid to travel again to the Khumbu region. I firmly believe that the good relations will continue. I think Everest is a very special terrain where extremes collide. Compared to Makalu and other mountains Sherpas on Everest are under enormous pressure: A lot of money is involved, so many climbers are on the mountain, and they expect that the fixed ropes are laid quickly. By next spring season a team of the Nepalese government will stay in Everest basecamp to control whether the climbers comply with the rules. Do you think that all the problems will be solved by this measure? I don’t think that all problems will be solved. 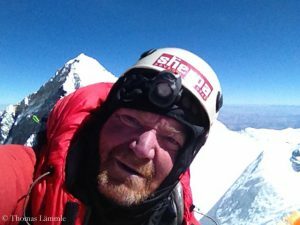 The question is whether the dispute really escalated because rules were broken or whether unwritten laws on Everest were interpreted in a different way by the Sherpas on the one hand and Western climbers on the other hand. The real problem that there are too many climbers on the route is very difficult to resolve. If you would stop climbing with supplemental oxygen, the whole thing on Everest would regulate quickly, and there would be no more problems. But you cannot dictate that. Whoever wants to try his luck there, in whatever style of climbing, shall try and be happy. It’s up to each climber. Is it still an attractive target for you to climb Everest? Yes. To climb Everest via the normal route without supplemental oxygen is challenging enough. That would be interesting. Sorry, Fazal Ali – that your extraordinary performance on K2 just slipped past me last summer! I reported on the first ski descent from the second highest mountain in the world by the Pole Andrzej Bargiel. 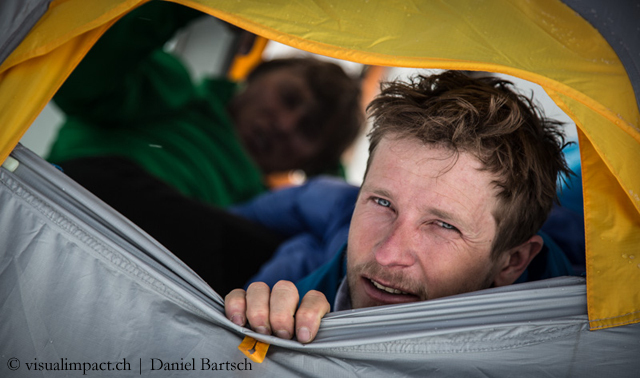 Having scaled the fifth and fourth highest mountain on earth, without bottled oxygen and a High-Altitude Sherpa by his side – the spring season in Nepal went like clockwork for the German climber Thomas Lämmle. The fog is clearing. The climbers mentioned in my last blog post have spoken. For days, the false report had been tenacious that Tenjing (mostly called “Tenji”) Sherpa and Lakpa Dendi Sherpa were the only mountaineers this season to climb Everest without bottled oxygen.